Personal Information. We do not collect personally identifiable information from you unless you provide it to us voluntarily. If you request information from us, subscribe to our newsletter or donate, we may collect the following information: first and last name, street address, city, state, zip code, telephone number, email address, and subject of inquiry (collectively, “Personal Information”). Access to Financial Information. The BOMA Project will not collect or have access to any credit card numbers or bank account information collected by the Third-Party Vendors in the processing of online transactions. If you do not request information, subscribe to our newsletter, donate permit a Third-Party Vendor to provide us with your Personal Information, or otherwise identify yourself, we will have no personally identifiable information about you. We will only use aggregate information derived, in part, from your use of our site to improve our site and our service to you. 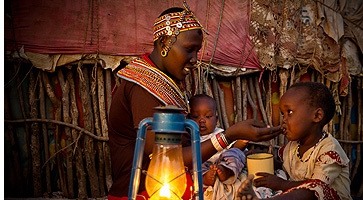 If you voluntarily provide Personal Information, we may enter your information into our database and contact you in order to: 1) supply you with information, including our newsletter, related to The BOMA Project’s programs, events and services; and/ or 2) request voluntary time or monetary contributions. At The BOMA Project, data is stored in a password-controlled database with unique login ID’s and passwords. All reasonable efforts are made to ensure that computer systems are safeguarded to prevent unauthorized access. However, such precautions do not guarantee that our website is invulnerable to all security breaks. We make no warranty, guarantee, or representation that the use of our website is protected from viruses, security threats, or other vulnerabilities and that your Personal Information will always be secure. However, in the event of a security breach, BOMA will fully comply with the Vermont Security Breach Notice Act and Kenyan privacy laws to the extent i applicable. At the BOMA Project, we strongly believe that our core values are not simply words written in an employee manual or on a website page. They are something that we all must live by every day while striving to make them a cornerstone of the BOMA workplace culture. By ensuring that we make every effort to incorporate values such as honesty, integrity, respect and cooperation into our culture, we also ensure that BOMA lives up to the high ethical standards that make each of us proud to be associated with our organization and recognized as a beacon of ethical behavior throughout the communities in which we work. Nothing is more important to the long-term success of BOMA than the well-being of our employees. With your efforts, BOMA can achieve the goals that will lead to a bright and secure future for all of us. We have a responsibility to provide a work environment where employees feel safe and can report unethical or improper behavior in complete confidence. An English language voice prompt will ask for the number you are calling. You are now connected to the hotline.